8th April 2018. The weather in Rome was hot, much hotter than I had expected or would have hoped for and the conditions it would appear were in stark contrast of the last few years of rain and more rain. Race registration can be fairly prolonged but if you opted for the EA membership you skip the need for the additional medical certificate and race confirmation is received within a few weeks (remember to print off nearer the time!). EXPO is about ten Metro stops away from the start and we opted for a hotel as close to start/finish as reasonably possible. We love to make a mini break of the Marathon so while I abstained from alcohol and tried to behave responsibly my girlfriend selected a good street cafe to taste wine and read a book while I ran the streets of Rome, not sure which of us had this the right way around. Funneled around the back of the majestic Colosseum you make your way to one of three pens depending on previous achievements. Registration included T-Shirt and Backpack (collected from the EXPO) that must be used for the official bag drop. Formalities complete, Rome awaits, the magnificent architecture, cobbled streets, great support and this year bright skies and piercing sun. Heading out of Rome leaving ancient ruins behind the first two or three miles work your ankles across the uneven cobbled streets heading towards the river Tiber and what seemed like several crossings back and forth but in reality proved much less. If I could pick out a race highlight it happened shortly after mile 11 as looming in front of you St Peter’s Basilica the heart of the Vatican City. it was Sunday morning at about 10:30am as I approach and realised the Sunday morning service was in full flow attended by what it would appear 1000’s with queues of spectators and runners taking a fleeting or in my case not so fleeting look from around the periphery. 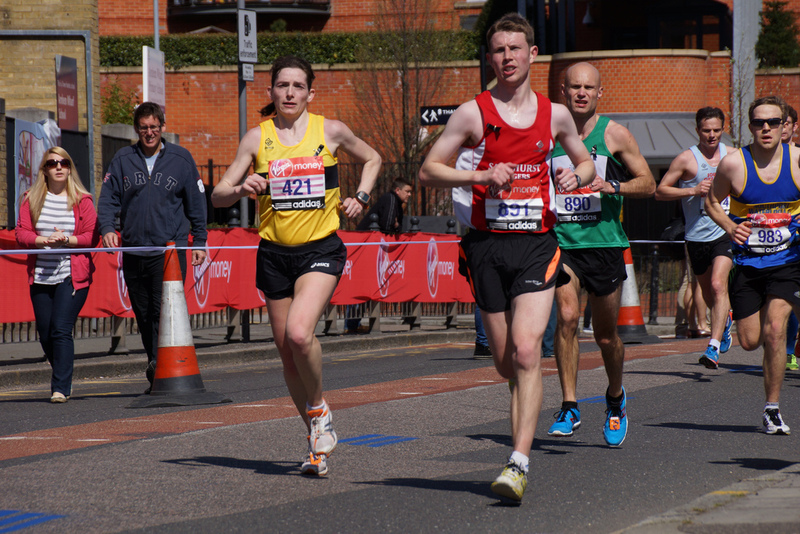 A really quite surreal moment in the life of anyone, let alone a runner participating in the city marathon. It wasn’t all historical monuments and cobbled streets, industrial Rome, slight painful hills and fairly mundane city streets played a part. With the ever present brigade of brilliant marshalls and volunteers coupled with feed stations every 5k and sponge stops in between you didn’t want for anything. The last 5 or 6k headed back across the cobbles, circling up and round the Piazza del Popolo and onto the finish in front of the Colosseum where your well earned medal awaits. A fantastic experience in a city steeped in history and amazing sights, you wont set a PB, but running through Rome, that doesn’t happen every day of the week!